Ecology, conservation biology, and animal behavior. Pedagogical methods and innovations. 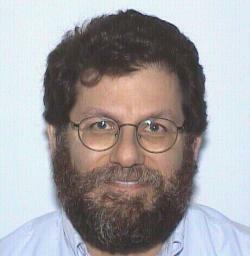 Perlman, Dan L (co-authored with James R. Morris). What the IPCC Said: A Citizens' Guide to the IPCC Summary for Policymakers. Island Press. Washington, DC: 2007. Perlman, Dan L & Milder, J.C.. Practical Ecology for Planners, Developers, and Citizens. Island Press, 2005. Perlman, Dan L & Wilson, E.O.. Conserving Earth's Biodiversity. Island Press, 2000. Perlman, Dan L & Adelson, G.. Biodiversity: Exploring Values and Priorities in Conservation. Blackwell Science, 1997.